Yogi is known for his sense of humour and sound technical painting ability. 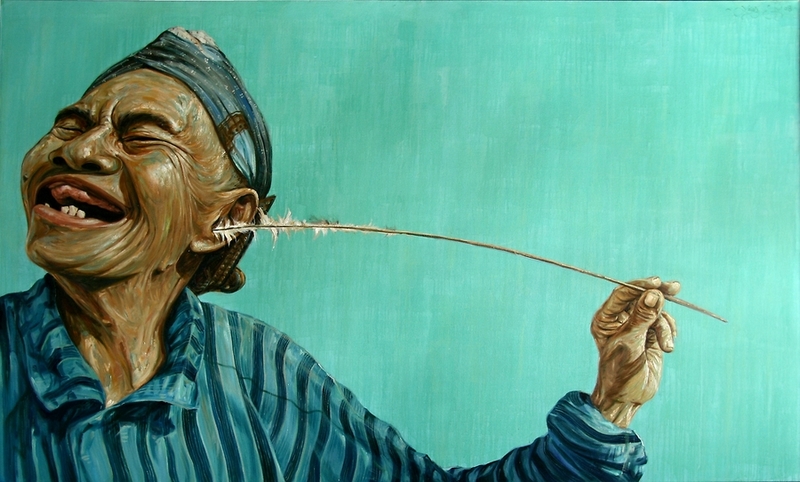 Using his grandfather Singodimedjo for inspiration, the artist created his "Grandfather Series." The artwork features an old man, visibly aged, with wrinkles and having lost most of his teeth and hair. The old man is seen smiling and laughing out loud, unabashedly. In “Kenikmatan Tiada Tara,” the grandfather is enjoying the “finer” things in life. True happiness is found in simple things.